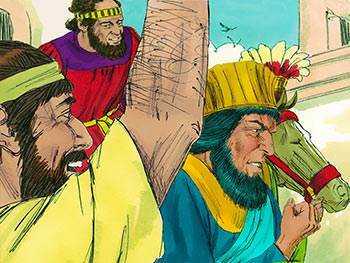 The story of Esther begins in the palace of King Ahasuerus who, after giving a six-month display of his imperial wealth, brings things to an end with a great feast. After seven days of feasting and revelry the king summons his wife, Queen Vashti, to appear before the assembled company and show off her beauty. This she refuses to do and is promptly deposed by the angry despot. 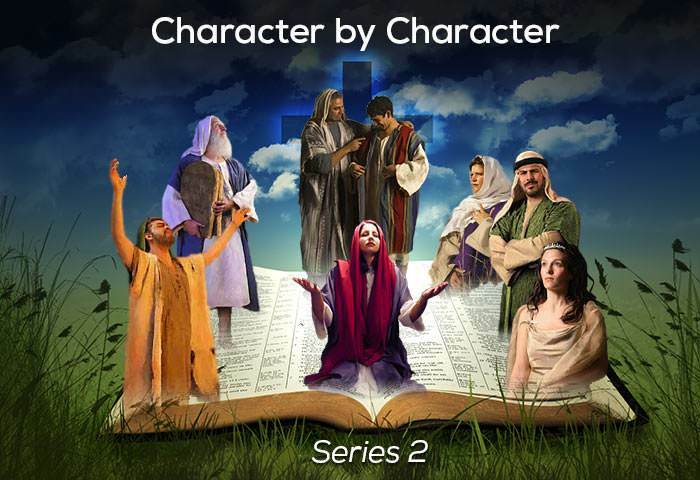 When Ahasuerus’ anger cools, he begins to have second thoughts about his rash decision (2:1), but his courtiers urge him to choose a successor to Vashti. Many beautiful maidens are brought to the palace for him to select his new queen, one of them being the orphan Jewess, Hadassah—or, as she later came to be known—Esther. 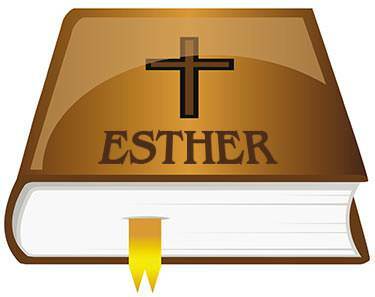 Did you know that the book of Esther is the only book in the Bible in which the name of God is not mentioned? But though His name is not to be seen anywhere in its pages, His guiding hand is evident in every chapter. A little bit like life—don’t you think? 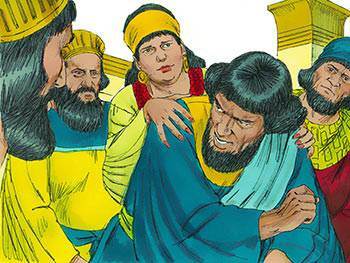 Mordecai, the cousin of Esther, had been brought to Babylon as a captive by Nebuchadnezzar (v. 6) and had adopted the orphaned Esther as his daughter. Esther was extremely beautiful and caught the attention of the keeper of the king’s harem, who arranged for her to have an early meeting with the king. During the year-long period of preparation which was required before being presented to the king, Esther acted with grace and discretion, followed the advice that was given to her and was greatly admired by all who saw her. 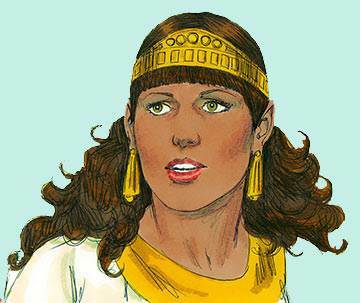 King Ahasuerus was captivated by Esther’s beauty, and loved her more than all the other women he had seen. 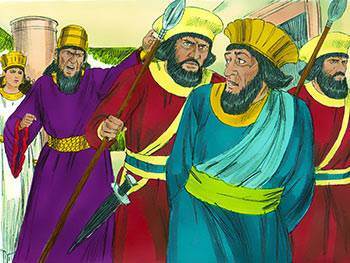 Do you begin to see why Mordecai and Esther did not return to Jerusalem with the other expatriates? God wanted to use them in His plan to save the Jews in Persia from extinction. He often allows our personal plans to fail so that we might contribute to His bigger and better ones. Learned that yet? Hebrew tradition places Esther among the three most beautiful women who have ever lived, and the king, having made his choice, sets the royal crown upon her head. 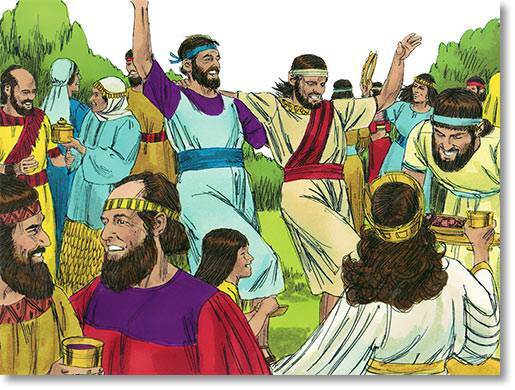 He organises a great banquet in Esther’s honour, and issues a decree that everyone in his kingdom is to benefit from a reduction in tax! Esther now occupies the highest position in the Persian empire open to a woman—and one which is soon to prove crucial to the survival of all the Jews living there. 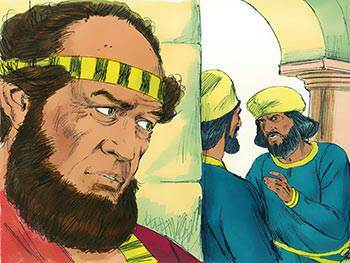 Mordecai overhears a plot against the king’s life and informs Esther who, in turn, conveys the information to the king. After investigation, the two conspirators are convicted and hanged—the whole affair being recorded in the official archives. It might seem irrelevant that after the hanging of the two conspirators, all the details of the event are written down, including Mordecai’s name. But God’s sovereignty works through seeming irrelevancies. Have you discovered that yet? 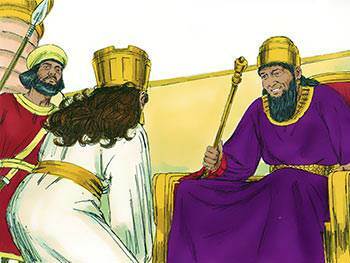 King Ahasuerus promotes an Agagite by the name of Haman to be his prime minister, decreeing that everyone should acknowledge his prominent position by bowing down before him. 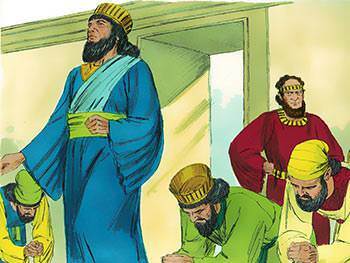 This Mordecai refuses to do, and when challenged, explains that because he is a Jew he cannot agree to bowing down before anyone but God. 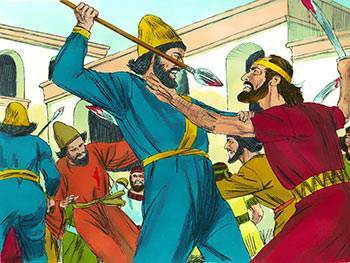 Upon hearing this, Haman becomes deeply angry and determines to destroy, not only Mordecai, but every Jew in the Persian empire. Cunningly, he persuades the king to issue a royal decree calling for the massacre of all the Jews. 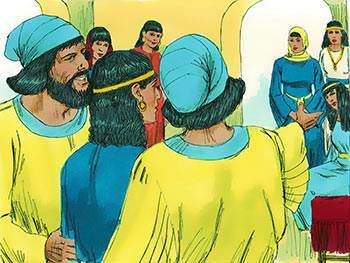 Mordecai, hearing of this decree, pleads with Esther to intercede with the king, affirming that this could well be the reason why she finds herself in the royal palace. 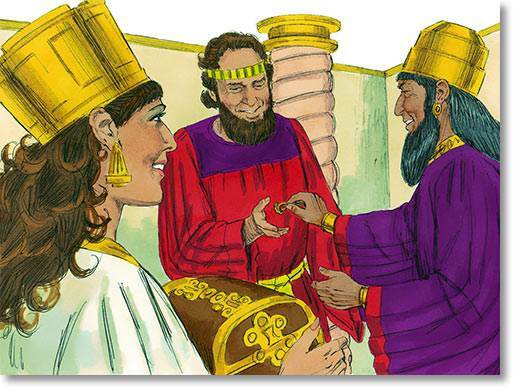 After considering Mordecai’s request to intercede with Ahasuerus for the life of her people, Esther puts on her royal robes, enters the inner court and seeks an audience with the king. 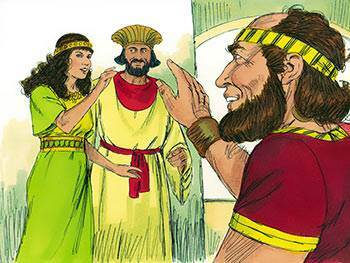 When Esther is given permission to approach the king, she invites him and Haman to join her in a meal later that day. 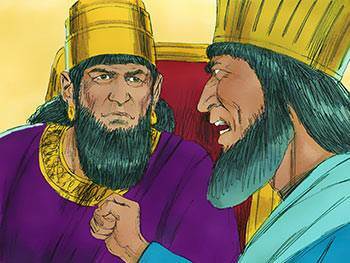 At the meal the king asks Esther to make her request, but she declines and invites them to another meal the next day. Haman tells his wife about the growing anger he feels against Mordecai, and she suggests that he build a gallows and arrange the next day for Mordecai to be hanged. That night the king is unable to sleep, and asks that the archives be read to him. He hears for the first time of Mordecai’s part in foiling the plot against him. What is the explanation for Esther’s delaying tactics? Had she lost her nerve? Some commentators think so. Perhaps a more correct interpretation is that her prayer and fasting had sensitised her to the proper timing for her request. After all, doesn’t time spent with God enable us to detect His perfect timing in everything? Once the king has been made aware of Mordecai’s part in saving his life, he gives orders that Mordecai is to be publicly honoured—and Haman, much to his dismay, is obliged to enter into the celebrations. At dinner, Esther boldly denounces Haman, and courageously identifies with her doomed people, pleading with the king to save them from destruction. 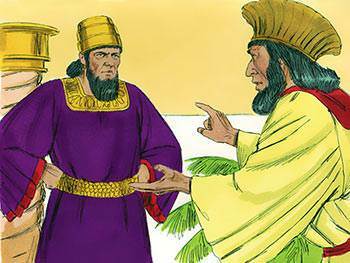 The king, in great anger, orders Haman to be executed on the very gallows which he had built for Mordecai. 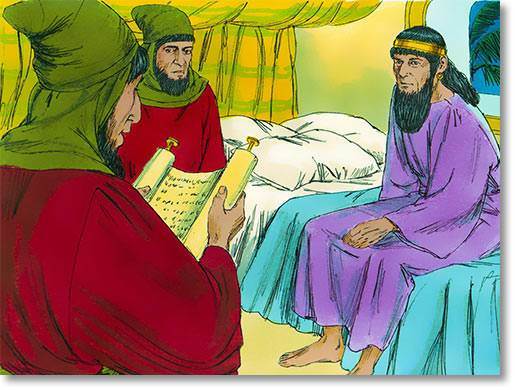 Now that Mordecai’s relationship to Esther is out in the open, the king summons Mordecai and appoints him as Haman’s successor, giving him the same power that Haman had possessed (8:2). Esther’s intercession is a model on which we, as Christians, can safely build. She is bold, simple, plain and direct. “All intercession”, it has been said, “starts with identification.” It begins when we allow the groan of God to enter our own souls. Haman, the arch-enemy of the Jews, is now dead, but the decree he inspired ordering the massacre of the Jews still stands. 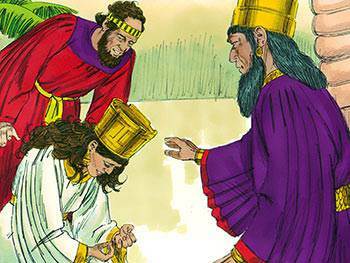 Queen Esther tearfully and eloquently pleads with the king for her people to be spared. Ahasuerus then issues another decree, devised by Mordecai, which authorises the Jews to defend themselves against any attacks which may be made on them arising from the first edict. As a result, more than 75,000 of their enemies perish, and the Jews celebrate their mighty deliverance, calling the celebration ‘Purim’. To this day the book of Esther is read by the Jews every year at the Feast of Purim (see Esther 9:32). Cast your mind back over the story of Esther and Mordecai right now, and does not the sovereignty of God appear in a more awesome light than ever before? Let this truth entwine itself around your heart: nothing can frustrate the purpose of our great and wonderful God. Nothing! 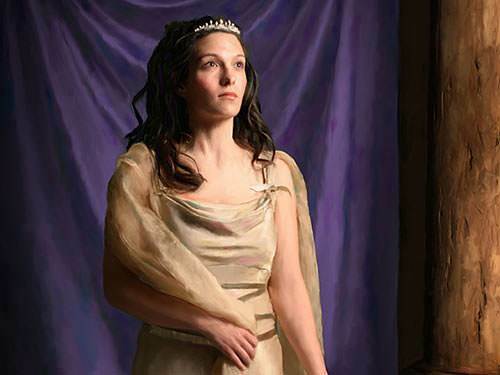 Queen Esther is one of the greatest heroines of Jewish history, whose story is read every year at the Feast of Purim. 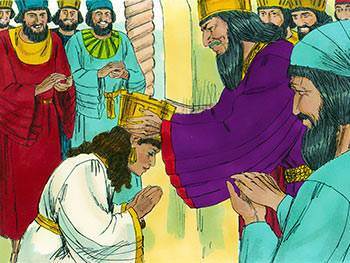 Election to the high office of Queen had no effect on Esther’s love and loyalty toward her people. She remained unspoilt amid the pomp and splendour of her surroundings. She was capable, energetic, brave and patriotic—a strong, unselfish woman conquering almost insuperable opposition and choosing a course of terrible danger to herself for the sake of her beloved people. Esther had a deep sense of destiny in her life—a feeling that she had “come to the kingdom for such a time as this” (Esther 4:14, RSV). This is undoubtedly the main lesson we learn from her life: the fact that God’s timing is punctual and perfect. We must learn to trust that timing, and recognise that our presence in God’s Kingdom is not by chance, but by choice. Each one of us has come to the Kingdom “for such a time as this”.